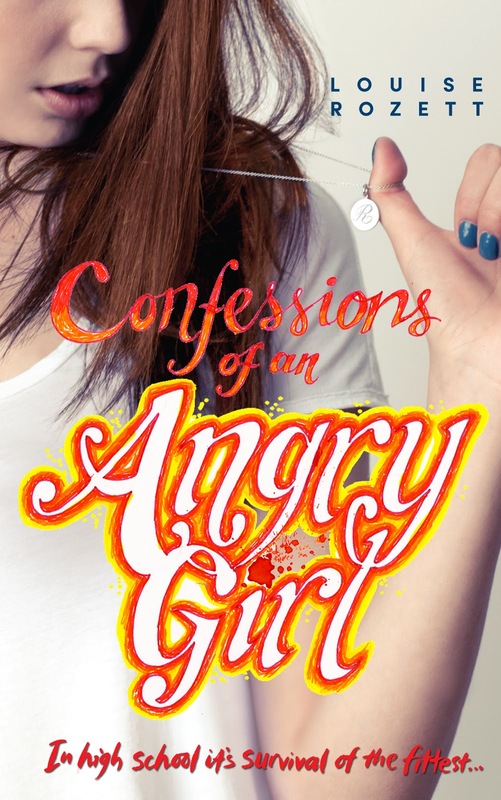 I read Confessions of An Angry Girl by Louise Rozett recently and do you know what I came to realise? It's rather ridiculous, because I'm more than a decade out of my teens, but I realised that much like Rose Zarelli, I too was an angry girl. I really related to a lot of Rose's feelings during this book and I read quite a bit of the novel thinking to myself 'when do we get to the 'angry girl' part?' and then it came to me ... oh. I just accepted Rose for who she is and how angry she's feeling all the time because I felt like she was pretty justified in her anger. Her dad died, her mom shut down, her brother left town and is hardly there for her. Rose doesn't fit in well at school and her best friend has suddenly changed into somebody Rose doesn't quite recognise. I think I could relate very well to how Rose is feeling, as could many other readers, I'm sure. Things get pretty rough for poor Rose in this story. She calls an ambulance at a party in order to save somebody's life and in the process she gets turned into a social pariah. Plus, she kisses Jamie Forta, an older 'bad boy' type with a girlfriend which does not help matters. And while I found Rose to be quite a young 14 year old, I really loved her and loved digging into this story. I really hated some aspects of the storyline, the mean girl routine from Jamie's girlfriend Regina could be quite painful to witness as was the abuse that Rose gets after breaking up this high school party. Rose gets herself into some pretty embarassing situations and I really felt bad that her friendship with her best friend was deteriorating alongside everything else going on for her in her family life. But I did love Jamie Forta. Despite the bad reputation that he has, he seemed to be pretty okay guy to me. Points to him for actually talking to Rose and listening to her. Actual quality communication is pretty hot. I really liked the few kissing scenes as well. Very satisfyingly written! Plus, Jamie's friend Angelo was one of my favourite characters. Kind of a goofy guy, but genuinely nice and very friendly to Rose. I like that he finally calls Rose on her angry-girl behaviour. I find myself really surprised by how much I liked Confessions of An Angry Girl. I really believed in Rose as a character and her struggles with her friendships, her family and her burgeoning romantic relationships all felt very real. I look forward to reading more of Rose's journey in the sequel, Confessions of An Almost-Girlfriend. Bring it on! I agree, I really didn't think this was going to be as good as it turned out to be! Yay! I'm glad too :) Angelo is such a great character. I hope he's in the sequel! I've got an ARC of this one on my Kindle waiting to be read. I'm loping forward to seeing what I make of it.